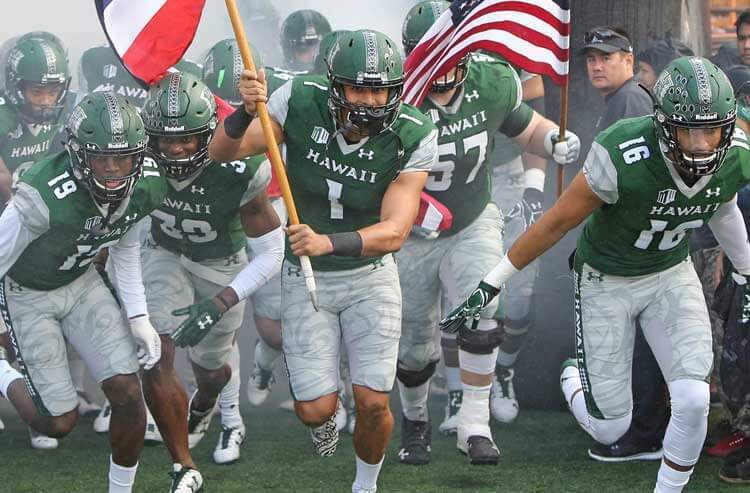 The college football betting season kicks off Saturday night but unfortunately, the Rainbow Warriors will have other things on their mind as they head to Colorado State for an encounter with the Rams. 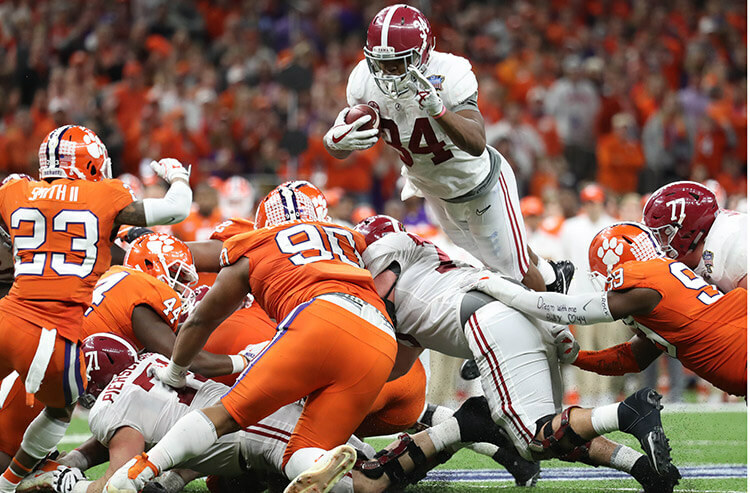 CHECK OUT ODDS AND ANALYSIS FOR THE REST OF TODAY'S COLLEGE FOOTBALL ACTION! With Hurricane Lane bearing down on the Hawaiian Islands, the Rainbow Warriors' thoughts will no doubt be divided between the game in Fort Collins and what is happening back home. The Rams are also dealing with adversity as their head coach, Mike Bobo, will be making the calls from the coaching booth rather than the sidelines after being released from hospital due to numbness in his feet. 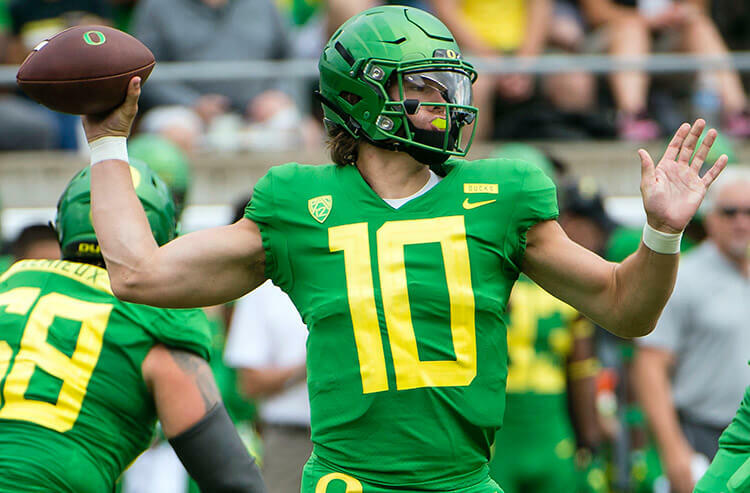 We welcome back college football betting by breaking down the Hawaii-Colorado State odds and giving you the five best ways to wager on this matchup: from a quick-hitting payout, to team props, to the full-game spread and total. Good luck! Colorado State has been automatic in season openers at home over the past quarter-century, having won six consecutive games since its previous season-opening home defeat back in 1993. And something about playing in August agrees with the Rams. They've gone 8-2 in the month, and have won each of their previous two August games, scoring 89 points in those outings. Expect the Rams to come out on fire in this one against a Rainbow Warriors team that is admittedly dealing with a significant off-the-field issue. Grad transer K.J. Carta-Samuels is at quarterback after CSU lost No. 1 QB Colin Hill when he re-injured his knee in spring practice. But Carta-Samuels put in the work this offseason to get up to speed and comes over from Washington where he played limited time, but worked within the Huskies' effcient attack which averaged 6.1 yards per play last year. We recommend taking Colorado State to open the scoring with a touchdown. These teams have enjoyed some high-scoring affairs, particularly in Colorado. They've averaged 70 points in two meetings at Fort Collins since 2012, easily surpassing the total in both games. Colorado State and Hawaii also combined for 72 points in their encounter in Hawaii last season, a 51-21 Rams rout. Fans and bettors should expect points a-plenty - especially from the home side – and shouldn't be surprised to see Colorado State race out to a comfortable lead by the half. We like the Rams to be close to covering the full-game spread by the time this game heads to the second half. The Rams have been one of the most prolific home teams in the nation over the past three years, having gone 10-4 O/U in their past 14 largely on the strength of their offensive production. And in their previous seven home games – all with a total of 55 or higher – they've gone above the number five times. Colorado State has also scored at least 38 points in five of its last six contests as a home favorite. There’s nothing to suggest the Rams will have much trouble moving the ball against a Hawaii stop unit that finished 114th nationally in total defense a season ago, and is dealing with a potentially tragic distraction back home. Bettors might be concerned that the Rams have failed to cover in seven consecutive games, including their last five home contests. 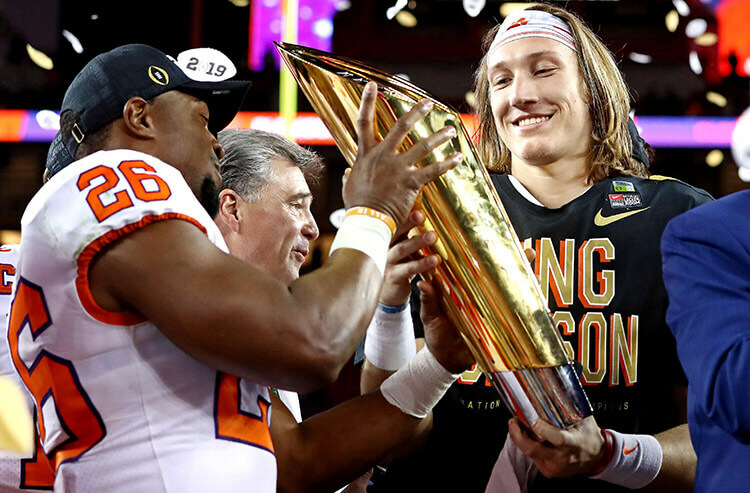 But each of their previous three games were close calls: they failed to cover by a combined six points and they have enjoyed success in that regard against Hawaii, having covered all four of their previous meetings at Fort Collins. The Rainbow Warriors have also been dreadful play on the road, having failed to cover in five straight games away from Honolulu. This spread could be even larger given the talent and emotional gulf between the teams, so take advantage. This is also a tough place to play in the season opener, with Fort Collins over 5,000 feet above sea level (Honolulu is about as sea level as it gets) and teams not yet in "game shape" yet. Thanks to the altitude, the Warriors could be running out of gas - and focus - in the final two quarters. For all the reasons given above, we like the Over in this one. These teams have gone above the number in each of their previous four meetings, with each of those games producing at least 63 points. And while Hawaii's new-look run-and-shoot offensive scheme is sure to take some time to refine, the Rams' defense is also a work in progress. Colorado State cleaned house on that side of the ball and named John Jancek the new defensive coordinator. His unit is compried of many new faces and plenty of freshmen and sophomores are expected to contribute. The Rams finished 97th in the nation last season in yards per game allowed (431.6). This one should result in a comfortable Colorado State win, but these teams have put up some crooked numbers in the past and should follow through again Saturday.